All eligible teaching faculty can download more than 75 academic courseware titles via the Software Download Service. Log in to My Pitt (my.pitt.edu), click Software Downloads, and click the Software Download Service Login link to view a complete list of available titles. In order to access academic courseware, faculty members need to install a program called KeyAccess (available from the Software Download Service). The KeyAccess client allows your computer to access the licenses that are needed to run these software applications. You will see a notification for software programs that require KeyAccess. You only need to install KeyAccess once. 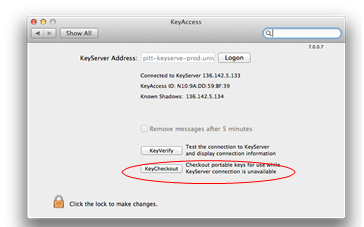 Log in to Software Downloads and search for KeyAccess. Note: The Software Download Service uses Pitt Passport single sign-on for multifactor authentication. Select a Windows, Mac, or Linux result, then click Download. Note: For additional instructions, click the '+' symbol next to Installation Instructions. Search for and download an additional software title. Key Access lets you run academic courseware titles. 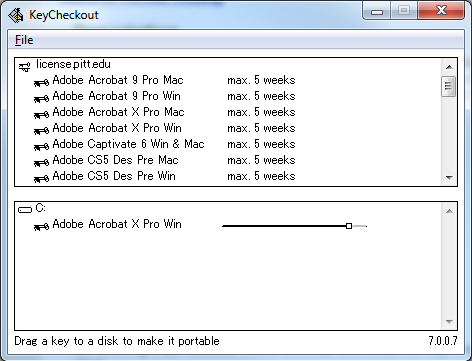 KeyCheckout, a feature of KeyAccess, offers faculty the ability to check out licenses to use certain software programs on their computer locally without the need to be online. The software license may be checked out from one day to a maximum time of five weeks. This program is ideal for faculty members who travel or want to work from home without being online. Your computer must be connected to a PittNet Ethernet port on campus, PittNet Wi-Fi, or the Pitt VPN (Pulse Secure) Service in Network Connect mode in order run KeyAccess or to check out a license via KeyCheckout. Your operating system must also be correctly configured for TCP/IP network connectivity. From your computer Start menu, select All Programs, then select Sassafras K2. 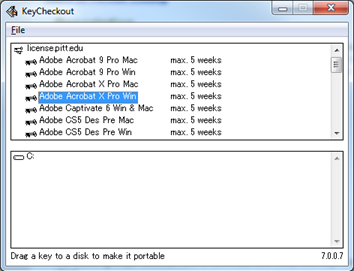 Click the icon and select KeyCheckout. If you receive the following prompt, click on the file menu, select Scannable Drives, and select drive C.
Scroll through the list of available titles and select the software program you wish to temporary download. Next, drag the software title icon on to the bottom screen (C:) in order to retrieve a temporary license. 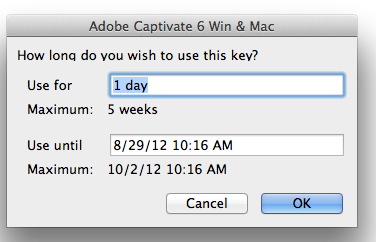 You will be prompted to enter the amount of time you wish to use the software. 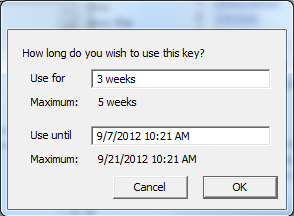 Note: Software may be checked out for a short as one day to a maximum time of 5 weeks. The software title you’ve chosen will now be available for use locally on your computer. Keep the expiration date in mind. Note: You may check out more than one title at a time and re-check out the same software as frequently as needed. From your Apple Menu, select System Preferences, then select KeyAccess. 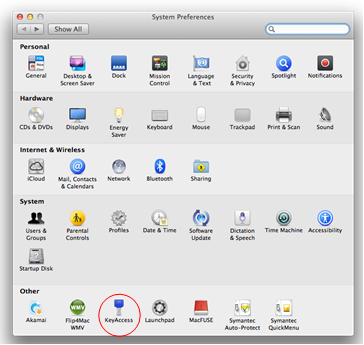 Next, drag the software title icon on to the left screen (Macintosh HD) in order to retrieve a temporary license. For assistance, please contact The 24/7 Help Desk at 412 624-HELP (4357). Questions can also be submitted online.